At The Brighton Kitchen Company we design and build luxurious bespoke kitchens that complement and bring homes to life. We understand that a kitchen is more than just a place to cook, which is why we strive to make kitchens our clients will love to spend time in and enjoy for years to come. Every kitchen we make is individually tailored to each client and is sensitively designed to enhance the property it is built for. 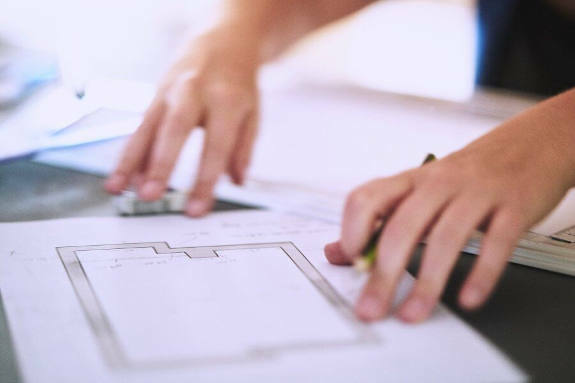 We work in a wide range of properties, from traditional farmhouses and renovated period homes to town centre apartments and modern new builds. Every single one of our kitchens is unique to our client and their home. At The Brighton Kitchen Company we are driven to find innovative, practical and luxurious kitchen solutions for every client. It is incredibly important to us to keep your ideas and vision at the heart of the design process. We offer you complete control over the design style and will assist you with our design expertise to help you realise the kitchen of your dreams. Visit our showroom and you will be able to experience our bespoke handmade kitchens first hand. Our experienced designers will listen to your ideas, offer helpful advice and answer all of your queries. We are confident you will be impressed by the quality of our craftsmanship, our innovative designs, our technical knowledge and our exceptional customer care. 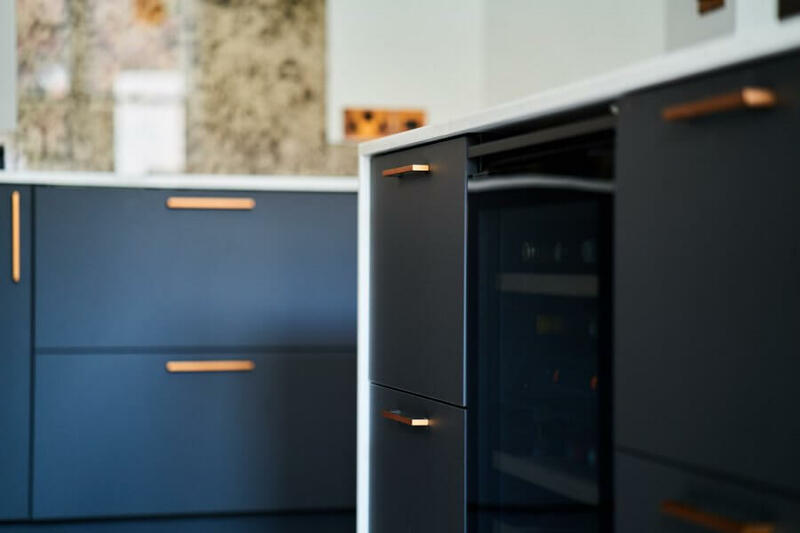 The first exciting step in achieving your luxury, dream kitchen is to arrange a complementary design consultation at our showroom, where one of our designers will gather your ideas and sketch a to-scale first draft layout of your bespoke kitchen. Every requirement is carefully considered to create a practical and aesthetically beautiful design solution. 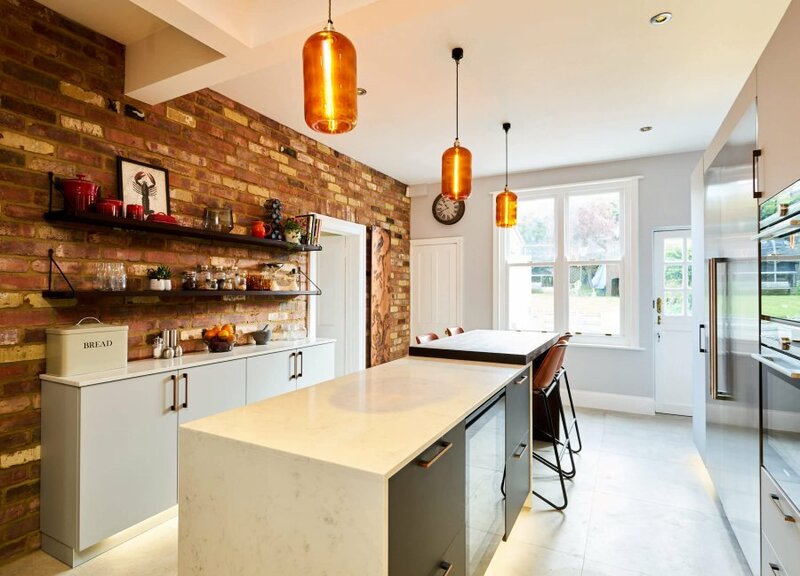 We know Worthing and the surrounding areas exceptionally well, so once you appoint us as your kitchen designer we can visit your home and guide you through the design choices that will enhance your property and add value to your home. We will work closely with you to keep your kitchen vision at the heart of the design, and we’ll discuss all of the fine details with you, from cabinetry and worktops, through to flooring choices, clever storage ideas, lighting and accessories. Once you are happy with the design, our talented design team will create a complete design solution and invite you to a presentation at our showroom. We will present you with CAD visuals so you are able to see exactly how your new kitchen will transform your home. We will refine the options until you are 100 per cent happy. At The Brighton Kitchen Company we understand the importance of a well-designed kitchen. As well as a beautiful, streamlined aesthetic, all of our contemporary designs will incorporate your everyday practical needs to attain a kitchen that looks fabulous and functions brilliantly, but most importantly is unique to you. We love to challenge conformity to bring our clients state-of-the-art kitchens that are streets ahead of conventional kitchen design. We are constantly seeking new and innovative ways to improve our designs and offer our clients kitchen solutions that are miles away from the mass produced market. We have three cabinetry options for creating your perfect contemporary kitchen; bespoke, German or British made. We will work with you to gather all of your ideas and draw up a kitchen design that is a perfect match for you and your home. We think that little details matter, so we’ll leave no stone unturned to bring you a contemporary kitchen that oozes style and functions perfectly. All of our bespoke traditional kitchens reflect our design excellence and precision engineering, and combine innovative functionality with classic, timeless cabinetry. We focus on uncompromising quality, and use nothing but the best materials, appliances and tradesmen to design, build and install kitchens that are stunning and bespoke. Traditional handmade kitchens from The Brighton Kitchen Company not only exude timeless appeal, they are made to last, ensuring strength and durability for years to come. We understand that contemporary designs don’t appeal to everyone. We work closely with our clients to understand design aspirations and deliver a kitchen style that suits individual style choices and the personality of the property. We believe in doing things differently. Every element of our kitchen design and installation receives the same meticulous attention to detail. Our personal care goes above and beyond the call of duty to ensure all of your individual ideas are incorporated into a kitchen designed specifically for you. Unusual spaces are a challenge we love. We offer over 20 years’ combined experience in bringing luxurious kitchen designs to life. Our bespoke storage solutions make finding everything in your kitchen a breeze, so no matter how big, small or awkwardly shaped, we’ll design your kitchen to work perfectly for you every single day. Everything is made with a personal touch to make your kitchen truly unique to you and your home.